Last Thursday evening the Willfield Camera Club members were treated to a talk by Stoke-based photographer Jenna Goodwin, the creator of Project Stoke. The project is about comparing views of Stoke On Trent and the Potteries from the past with the present, and is done in a visually engaging way. Vintage photographs of Stoke are examined by Jenna, who determines the position the photograph was taken from before revisiting the spot and taking a new photograph before merging the two images together, creating a mish-mash of the historical with the contemporary. Some great examples of this can be seen on the Project Stoke website. Project Stoke has featured on the Kickstarter fundraising website, with a target of £1000, and we are pleased to say that the target has been reached. 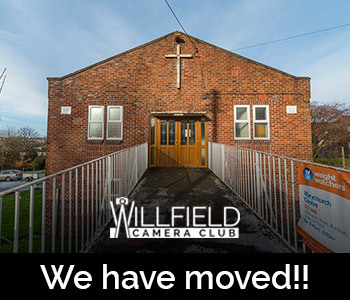 We at the Willfield Camera Club wish Jenna the best with the project, and are looking forward to seeing the finished exhibition – good luck Jenna!